Thanks to Jewish World Review for this timely and insightful article. It seems that the U.S. Administration is intent on selling out Israel for political benefit. The respected writer Carolyn Glick tells the sad tale of betrayal and incompetence. US Secretary of State Condoleezza Rice is moving boldly down the rabbit hole. This week, Rice is due back in the Middle East for meetings in Jerusalem and Ramallah. The purpose of her upcoming visit, like her previous ones, will be to pressure the Olmert government and the Fatah terror organization to reach "substantive agreements" that she'll be able to present to the world at her peace summit in Maryland next month. It is far from clear what American interests Rice is advancing with her unswerving effort to reach a peace accord between Israel and Fatah. Indeed, Rice's efforts are detrimental to US interests in the region. On Tuesday, 77 senators signed a letter to Rice regarding her plans for the summit. Among other things, the senators called on the Arab states, which Rice hopes will participate, to "recognize Israel's right to exist and not use such recognition as a bargaining chip for future Israeli concessions." The senators' warning was well placed. Far from cooperating with the US, the Arab world is undercutting its policies. Not only are the Arabs - including Egypt and Jordan - distancing themselves from Israel; in a direct slap at the US, the Arabs are subverting the US's goal of isolating Hamas. Rather than blackball the jihadist movement, the Arab states led by Egypt and Saudi Arabia are devoting themselves to bringing about a rapprochement between Fatah and Hamas. Unfortunately, due to Rice's missteps, the US today has little influence over the Arab states. Washington's primary diplomatic leverage over the Arabs stems from its ability to confer legitimacy on them. The US could have used this leverage if it had stated from the outset that it would only invite states to the Middle East conference that support the US's goals of isolating Hamas and accepting Israel's right to exist as a Jewish state. But rather than condition their invitation, Rice and President George W. Bush made it clear from the outset that they want Arab states to participate in the summit. In so doing, the US turned the turned the tables on itself. Now it is the Arabs who by accepting or rejecting the US offer will confer legitimacy on Washington. Needless to say, in the interests of securing their participation, states like Saudi Arabia and Egypt will not be called to task for their sponsorship of Hamas or their hostility toward Israel. So the US has been weakened just by organizing the conference. Yet, if there were any chance that the conference next month in Annapolis could yield real progress toward peace, then at least the Arabs' humiliation of Washington could be said to have been worth it. Given that since the failed Camp David summit in 2000 the Palestinians have yet to make one substantive concession to Israel, it is clear that the only way the upcoming conference can succeed in advancing peace is if the Palestinians make some dramatic concession to Israel. But there is absolutely no chance that the Palestinians will be forthcoming. Fatah Chairman Mahmoud Abbas led Fatah to electoral defeat to Hamas in 2006 and to surrender in Gaza in June. The only reason that Abbas remains in power in Judea and Samaria is because the IDF is maintaining security there. The weak, ineffectual Abbas has no ability to agree to Israeli offers that Yasser Arafat rejected. In addition to Arafat's legacy, Abbas has Hamas to contend with. Any major concessions to Israel would imperil his rule - and his life. Over the past week, Abbas announced his adherence to maximal Palestinian demands from Israel. 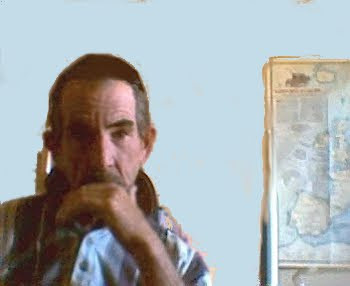 These include the full transfer of sovereignty over the Temple Mount to the Palestinians; the complete surrender of Judea and Samaria to the Palestinians; and an Israeli acceptance of the so-called "right of return" that would force Israel to accept millions of foreign Arabs as immigrants within its truncated borders. Abbas's stances are a reflection of his inability to make any concessions for peace. The failure of Rice's summit will directly benefit Hamas, which will be able to say that as it had warned, diplomacy is pointless. Understanding this, Abbas himself has let it be known that he is negotiating with Hamas. Then too, ahead of his meeting this past Wednesday with Prime Minister Ehud Olmert, Abbas dispatched his representatives to threaten Israel with war. On Tuesday, Abbas confidante and representative in negotiations with Hamas Azzam al-Ahmed told reporters, "If we don't prepare well for the conference so that it will result in something positive, the repercussions will be more dangerous than what happened after the failure of Camp David." Hamas is not the only actor that will be strengthened by the failure of the summit. Anti-American, jihadist forces throughout the Arab world will similarly benefit. Like Hamas, they will be able to say, "We told you so." 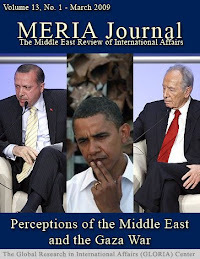 America's humiliation will also weaken liberal democratic voices in the Arab world. With America perceived as weak and incompetent, they will feel compelled to join the anti-American bandwagon. RICE IS dragging Israel with her in her madcap descent down the diplomatic rabbit hole - and not for the first time. Rice has a record of forcing Israel to sacrifice its security in the interest of her "peace" processes. In November 2005, Rice coerced then-prime minister Ariel Sharon into accepting her agreement on the passages joining Gaza to Egypt and Israel. That agreement denied Israel the ability to prevent terrorists and arms from being smuggled into Gaza. This week's Egyptian agreement to allow some 90 Hamas terrorists - many of whom underwent military training in Iran and Syria - to enter Gaza was easily implemented in spite of Israeli objections in large part as a consequence of Rice's heavy-handed treatment of Israel. So too, Rice forced Israel to agree to have US Lt.-Gen. Keith Dayton train and arm Fatah forces in Gaza. That disastrous plan led to the indirect US arming of Hamas when Fatah forces surrendered their weapons to Hamas without a fight in June. And of course, Rice was the architect of the cease-fire with Hizbullah last year that has enabled the Iranian terror group to rearm and to reassert its control over south Lebanon. ALTHOUGH THE content of the talks is officially secret, various leaks make the depth of Israeli concessions clear. Israel is agreeing to transfer sovereignty over Arab neighborhoods in Jerusalem to the Palestinians and to renounce its sovereignty over the Temple Mount; Olmert and his colleagues have agreed to surrender more than 90 percent of Judea and Samaria to the Palestinians while destroying most of the Israeli communities there; and Israel is agreeing to certain "symbolic" concessions regarding the so-called "right of return." In short, Olmert is regurgitating former prime minister and current Defense Minister Ehud Barak's offers to Arafat at Camp David and Taba from seven years ago. Many on the Left argue that since Israel offered these concessions in the past, the fact that the government is returning them to the bargaining table today is nothing to get excited about. This is untrue. There is a huge difference between the situation in 2000 and today. Seven years ago, Barak's offer of territory was based on the expectation that in exchange for territory the Palestinians would eschew terror and live at peace with Israel. Today, after seven years of war that was largely directed by Fatah, after Hamas's takeover of Gaza and Iran's takeover of Hamas, this expectation is no longer realistic. By offering Barak's concessions for a second time, Olmert isn't simply offering land. He is sending the message that Israel neither expects nor demands that the Palestinian state live at peace with Israel. Perhaps Israel's greatest diplomatic failure since 2000 has been its failure to disavow Barak's offers and remove them from the negotiating table. Once Arafat refused Barak's far-reaching concessions and chose instead to launch a war against the Jewish state, Israel had numerous opportunities to make clear these concession were no longer on offer. Disavowing them is crucial not simply because they are diplomatically unwise. They are strategically suicidal. As Israel's experience in south Lebanon and Gaza show clearly, areas that Israel vacates become terrorist enclaves. Given Abbas's embrace of terrorism and his political weakness, it is absolutely clear that an Israeli withdrawal from Judea, Samaria and Jerusalem will render these areas terror bases as well. Yet here the consequences will be far worse that those of previous withdrawals. An Israeli surrender of Judea, Samaria and parts of Jerusalem will divest Israel of the ability to defend itself. Although theoretically attractive, it is impossible to partition Jerusalem between Arab and Jewish neighborhoods because there is no geographical distinction between Arab and Jewish neighborhoods. Beyond that, if Jerusalem is partitioned, the Arabs with Israeli ID cards will move to the Jewish neighborhoods and Arabs from Judea will flood the Arab neighborhoods. 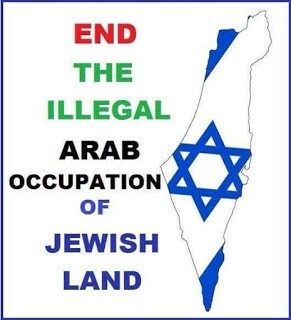 Far from strengthening the Jewish character of the Jewish half of the city, a partition will destroy Jewish Jerusalem. The Jews will flee, and the eternal capital of the Jewish people will be transformed into an Arab city. As for Judea and Samaria, not only would their handover transform 250,000 Israelis into internal refugees, it would leave 80% of the citizens of the truncated Jewish state within mortar and rocket range of the Palestinian state. Moreover, an Israeli relinquishment of the areas will clear the way for Arab armies to enter the Jordan Valley unopposed. The path from there to the Mediterranean is a short and easy one. Given all of this, it is manifestly clear that by succumbing to Rice's obsession with summitry, the Olmert government is playing with fire. It is committing Israel to negotiating positions that deny the country the ability to demand that the Palestinians come to terms with the Jewish state and live at peace with it. And it is rendering strategically suicidal seven-year old offers the starting point of all negotiations for years to come. On Wednesday, the State Department announced that Rice's conference is being postponed until the end of November to give the parties sufficient time to "prepare the groundwork" to somehow ensure the summit's success. Also Wednesday, Olmert and Abbas reportedly agreed that the conference would be nothing more than the starting point for future negotiations. It can only be hoped that these approaches will be combined. All negotiations should be postponed until after the summit, and the summit should be delayed for weeks, then months, then years. Otherwise, in the name of "promoting peace," Rice and her Israeli underlings will foment a new war. Why So Many Arab "refugees"?